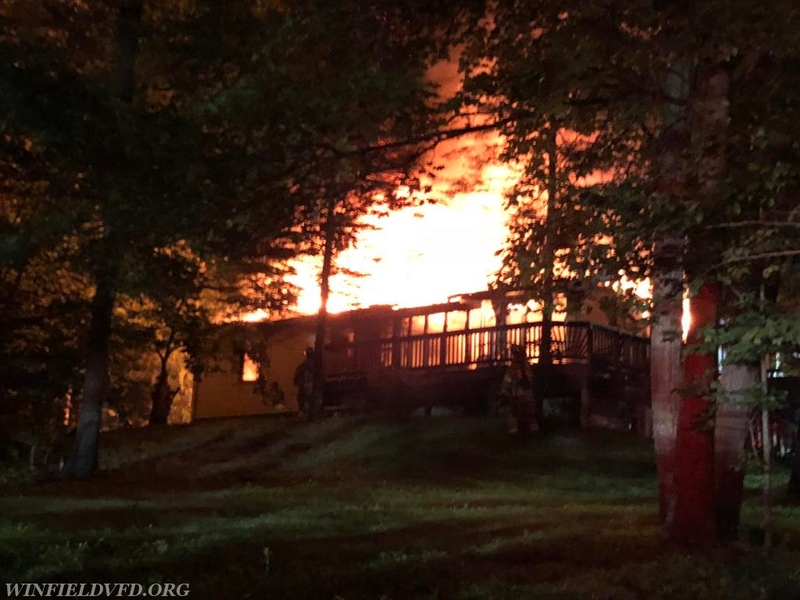 On Thursday night at 11:34pm units from Libertytown and surrounding fire departments were alerted for a reported house fire in the 14530 Block of Black Ankle Road. 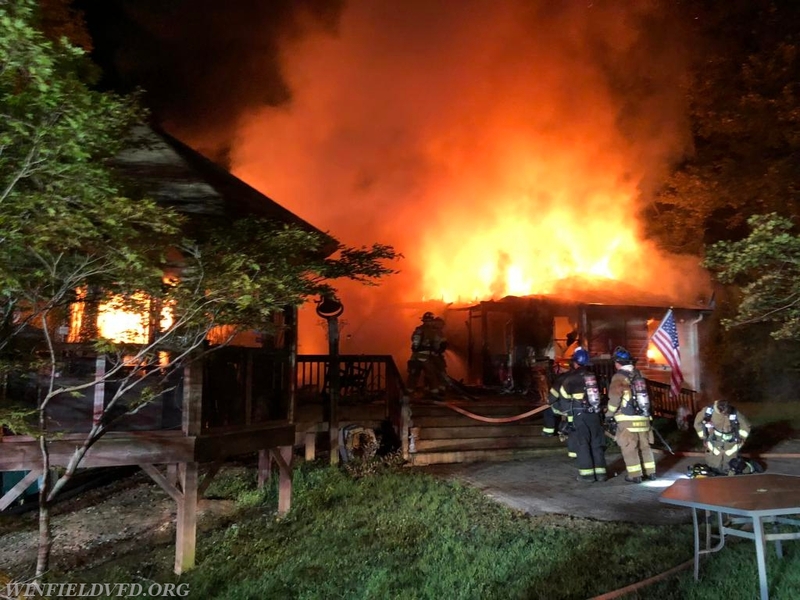 First arriving units encountered heavy fire showing from a one-story single family house and requested the working fire dispatch and tanker task force. Engine 142 & Tanker 14 responded on the original dispatch before Engine 141 and Medic 149 were added on the task force. 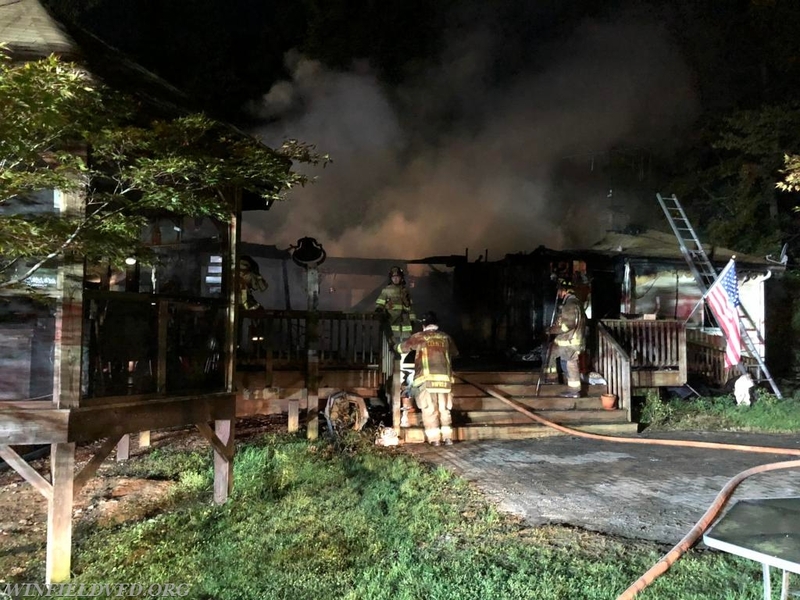 Due to the heavy fire conditions on arrival and structural compromise firefighters worked to extinguish the blaze from the exterior with a defensive attack. Engine 141 & Engine 142 assisted with fire attack while Tanker 14 assisted in a tanker shuttle hauling several loads from a close rural water supply source. 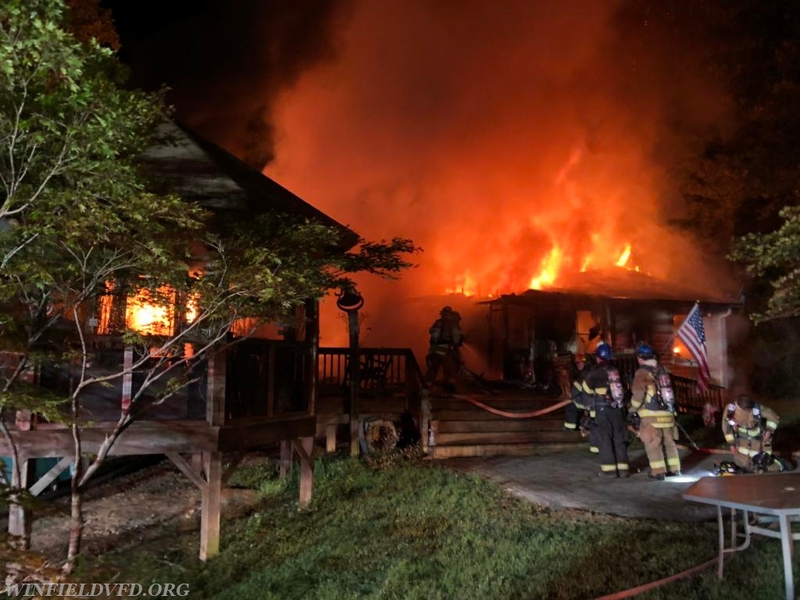 The occupants were able to escape safely before the fire department arrived. The cause of the fire is under investigation.